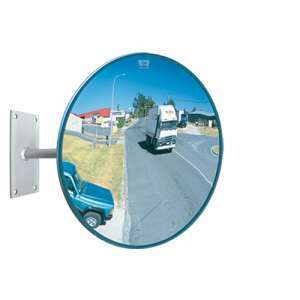 The versatile Outdoor Heavy Duty Acrylic Convex Mirror is weather proof and ideal for driveways, parking lots and most road and traffic safety situations. The robust design is built to last and the specially curved convex mirror face is formed from optical grade 100% virgin acrylic and vacuum metalized from 99% pure Aluminum for a superior clear reflection with no distortion. 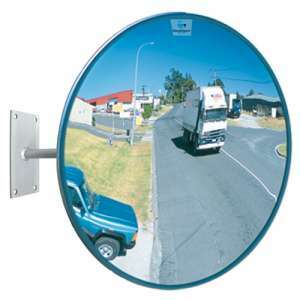 A DuraVision™ convex blindspot mirror can be used in many industrial and road safety situations where extreme weather is not experience, this outdoor safety mirror is easy to install and the fully adjustable bracket allows the mirror to be angled in the most effective position. The versatile 12" Heavy Duty Acrylic convex mirror is weather proof and ideal for driveways, parking.. TEMPORARILY SOLD OUT! Contact Us for re-stocking and availability of this item or alternative pro.. 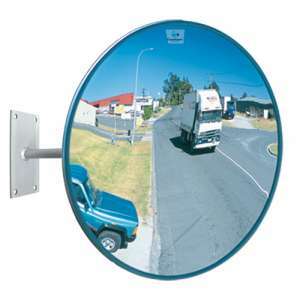 The versatile 24" Heavy Duty Acrylic convex mirror is weather proof and ideal for driveways, parking.. 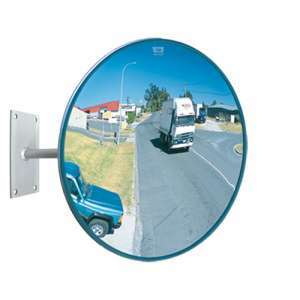 The versatile 30" Heavy Duty Acrylic convex mirror is weather proof and ideal for driveways, parking.. 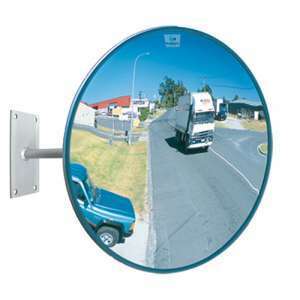 The versatile 36" Heavy Duty Acrylic convex mirror is weather proof and ideal for driveways, parking..